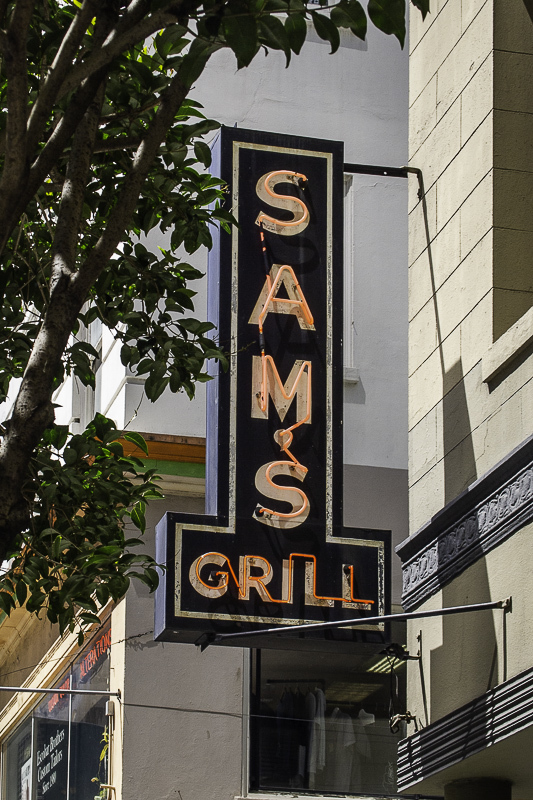 We have been going to Sam's Grill for lunch since the 1960s. 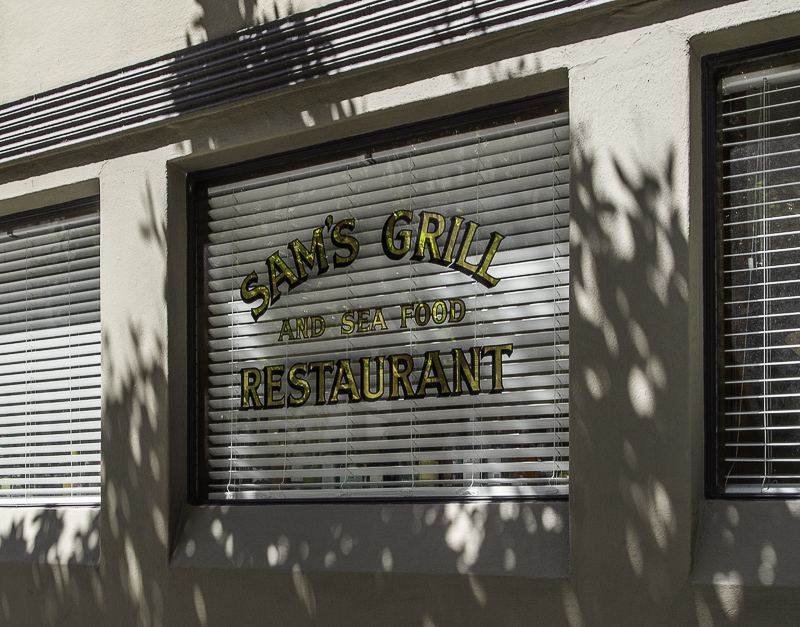 And by then Sam's had been around for over a hundred years. 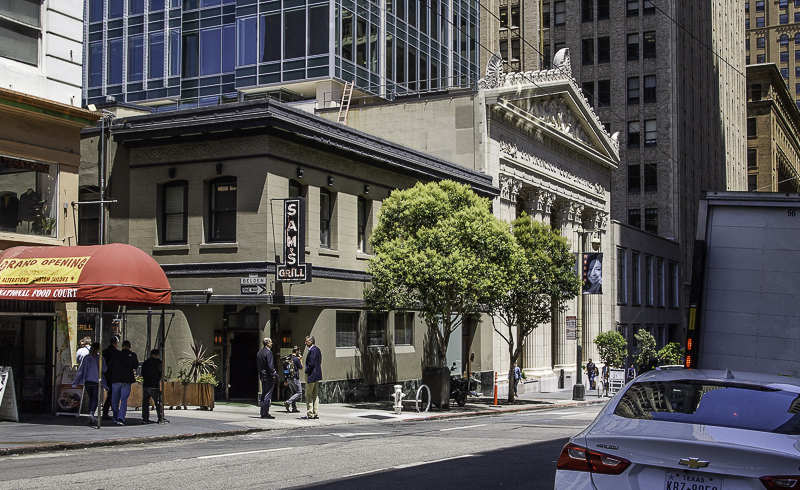 In the heart of downtown San Francisco, it was a likely spot for a business lunch. 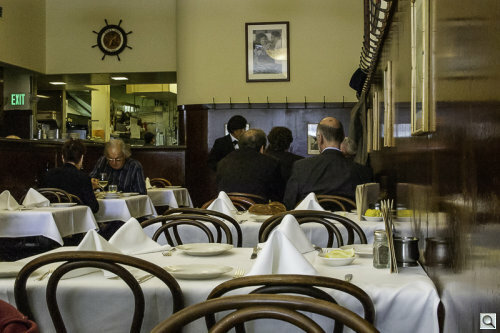 The was the small but indispensable bar, old world waiters in tuxes changing the white linen tablecloths, the best sourdough bread in the city and fresh seafood. The main dining room didn't give even a hint of the row of private booths along the side, some large enough for a party, others as small as phone booth. Each with button to call your waiter. Who was in no more hurry than you were. We were back for lunch twice this month, which makes it a very good month. Frank and Walter weren't there to greet us any more. 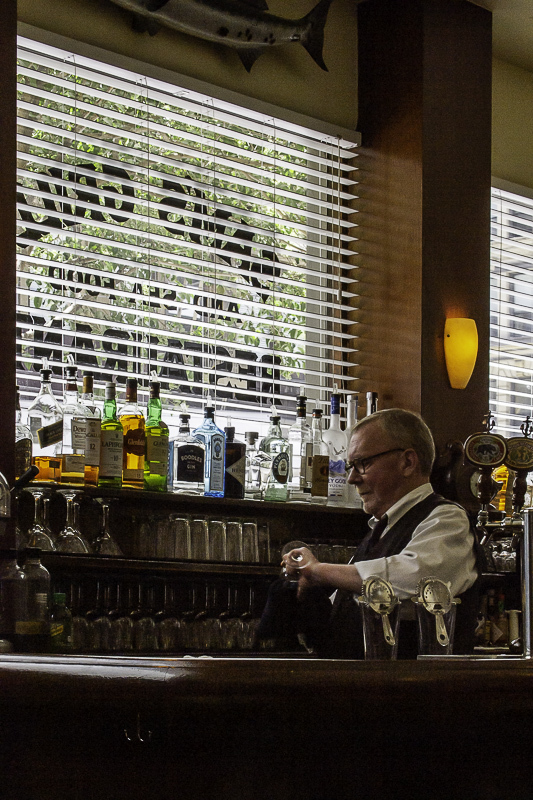 Nor was Peter, who would emerge from the crowd packing the bar to greet Pops with a "Hey, Fatso!" before he found us a table. It's that kind of place. You meet for business. You leave as friends. 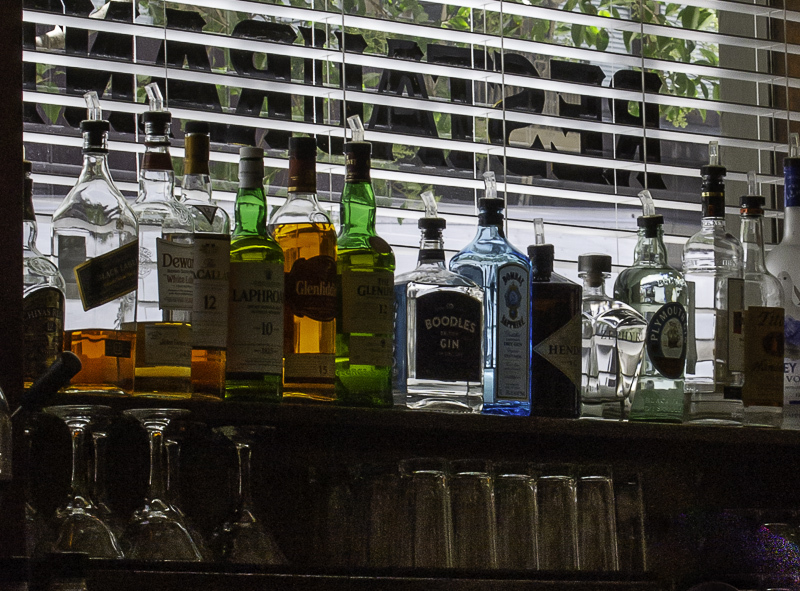 Had you been there with us, we would have started by offering you something from the bar. We ourselves would have resorted to our time-honored Absolut with no enhancements, a concoction Pops used to order when he ate here every week for decades. And with it, we'd have ordered an appetizer of piping hot fried zucchini. Our waiter Stefano (you always knew the name of your waiter) would have dropped by every few minutes to see if we were ready to order. But we wouldn't be. We'd be catching up on things. With a few laughs. Finally, though, the zucchini sticks would be gone and the drinks evaporated and we'd give Stefano something to do. For us it would be grilled petrale and we'd add a side of shoestring fries for the table. A bottle of dry white wine with it, too. And all that would appear in minutes because seafood takes very little time over the flame. Stefano would slide the plates in front of us over the crumbs of sourdough sprinkled on the tablecloth as proof of our appetite. A quiet would descend over the table as we attended to the meal but there would be half a bottle of wine left when the fish had disappeared and, plates cleared, we would lean back and continue our conversation. On the second visit this month we brought a young visitor who pointed out that the pen provided to sign the receipt with has a soft tip for touch-sensitive displays. That was the only thing fresher than the fish. John Briscoe, one of the fellows who saved Sam's with Peter Quartaroli in 2014, came by the table to see how everything had been. 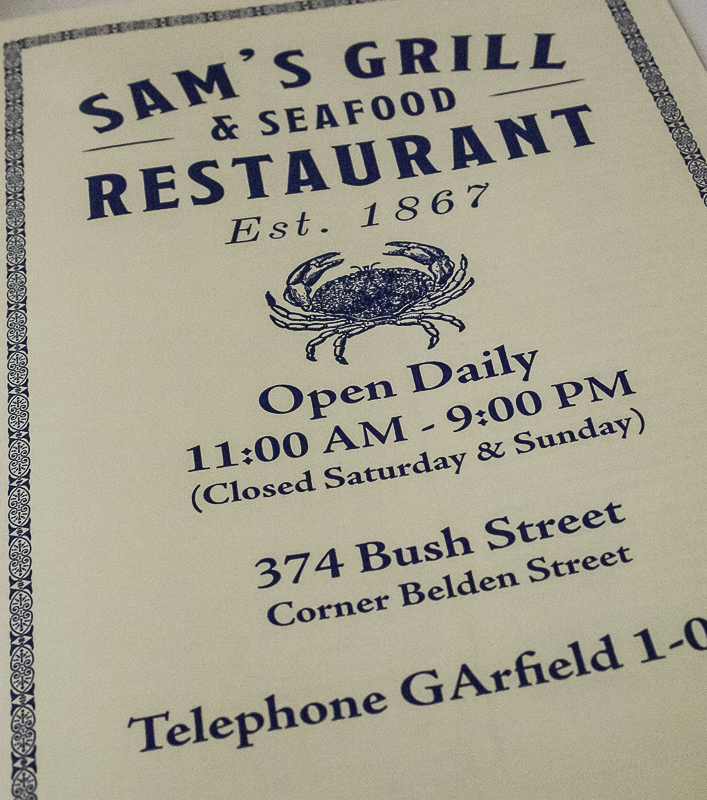 When our guest marveled at how old the place is, Briscoe confessed he'd written the history printed on the menu. And graciously agreed to sign one as a souvenir for our guest -- who's name just happens to be Sam. And so the old haunt gained yet another friend.